40x40cm to 50x50cm There are 64 products. Ceramic floor tiles A10016 Home Perla 45x45cm ECO quality. Price per m². Indoor Ceramic Floor Tiles Alicante Crema 45x45cm, ECO Quality. Gloss Finish. Price per m². Porcelain floor tiles Alp Musgo 46x46cm. ECO Quality. Price per m². Outdoor Ceramic Floor Tiles Alpes Gris 45x45cm, ECO Quality. Shiny finish. Price per m². Indoor Ceramic Floor Tiles Aman Natural 45x45cm, ECO Quality. Gloss Finish. Price per m². Ceramic floor tiles Augusta Grey 45x45cm ECO quality. Matt finish Price per m². Ceramic floor tiles Bali Perla 45x45cm. ECO quality. Gloss finish. Price per m². Ceramic Floor Tiles BELLAGIO GREY MATT 45x45cm, ECO Quality. Matt Finish. Price per m². Ceramic floor tiles Bolo Blanco 45x45cm ECO quality. Shiny finish. Price per m². Ceramic Floor Tiles BURLINGSTONE MARENGO 45x45cm, ECO Quality. Matt Finish. Price per m². Ceramic Floor Tiles CARINA GRIS 45x45cm, ECO Quality. Matt Finish. Price per m². Ceramic Floor Tiles Cement Grey 2 45x45cm, ECO. Matt Finish. Price per m². Ceramic floor tiles Crema Marfil 45x45cm ECO quality. Matt finish Price per m². Ceramic floor tiles Creta Marfil 45x45cm. ECO quality. Gloss finish. Price per m². Ceramic floor tiles Danube Crema 45x45cm ECO quality. Shiny finish. Price per m². 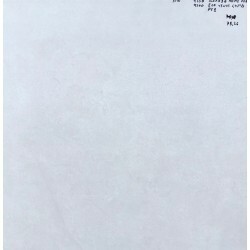 Porcelain floor tiles Fedra Blanco 45x45cm ECO quality. Shiny finish Price per m². Ceramic floor tiles Gredos Pulpis 45x45cm ECO quality. Gloss finish Price per m².